If you’ve lost a tooth, we can replace it with a dental implant. These implants look and react just like a real tooth. A surgical procedure that removes infection from gum tissue and root surfaces and reduces pocket depth. If you want an implant but don’t have enough bone available, we may be able to perform dental bone grafting so that your dental implant procedure can continue. The all on 4 procedure also known as, teeth in a day, provides a patient a fixed teeth solution the day of treatment. Four dental implants provide stability to the teeth, allowing a patient to eat normally after the implants have healed. Sinus lifting is a procedure that is done to create space to accommodate an implant. This procedure adds bone to the upper jaw, and is done between your jaw and sinuses on either side of your nose. If you don’t like the way your gums appear when you smile, our dentist can assist you in obtaining a more proportionate, healthier looking smile. Periodontal plastic surgery can help to improve a gummy smile. To improve a gummy smile, dental crown lengthening is ideal. 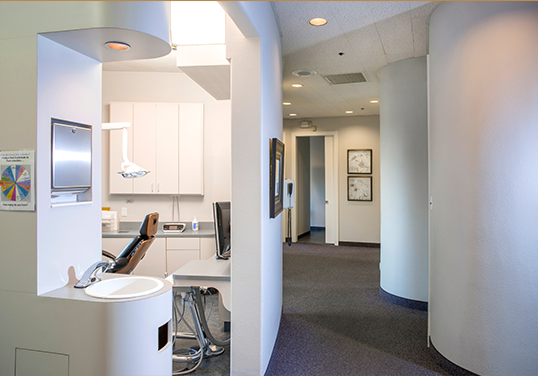 The friendly and highly experienced staff at Implants and Periodontics provide our patients with the highest quality dental care in a relaxed, warm, caring, and professional manner. Why should you choose us? You should want us because of our culture. Your family is more than just a chart to us. Our office was designed to soothe and calm visitors, and to give a friendly, home-like feeling. We want everyone, from a young child to mature patients, to feel at ease here. We often are complemented on remembering specific information about your personal life such as vacations, or significant events that your child may have had, and even just about your work. If you need periodontal treatment or dental implants in the greater Phoenix, AZ area, we have the doctors for you. Our periodontists and dental implant doctors have the training and experience needed to keep your mouth healthy, and your smile lovely. Dr. Peterson studied Biology at Arizona State University. He obtained his DMD and Masters in Oral Biology from Temple University School of Dentistry. He also received a full fellowship from the Misch International Implant Institute, and Diplomate status with the International Congress of Oral Implantologists. In his personal life, Dr. Peterson is an Eagle Scout and an active member of his local church’s congregation. Dr. Hudson S. Johnston graduated from the University of Louisville School of Dentistry with his general dentistry degree. Next, he continued training on his advanced surgical skills and received a Masters in Oral Biology as well as a Periodontal Specialty Certificate. Dr. Johnston is also a native of Phoenix and loves to go out and enjoy the surrounding wilderness areas as often as possible, preferably on horseback. Dr. Ryan S. Holbrook, is Board Certified, and earned his DMD from Nova Southeastern School of Dental Medicine. He was granted a Certificate in Periodontics from the US Air Force, and a Master of Science in Periodontics from the University of Texas at San Antonio. Dr. Holbrook served six years of active duty in the Air Force, and was both a Major, and Chief of Periodontics at Joint Base Elmendorf-Richardson Hospital in Anchorage, Alaska. In Dr. Holbrook’s free time, he likes to wakeboard, snowboard and participate in motorsports. Dr. Ashraf is proud to serve the people of his hometown state of Arizona. After attending the University of Arizona, Dr. Ashraf pursued his dental education at the University of Colorado School of Dental Medicine. Subsequently, he completed a residency in periodontics at the same institution earning a Master of Science in Dentistry. Outside of work, he enjoys spending time with family and keeping up with his favorite sports teams. Dr. Niels Jensen went to BYU for his bachelor's degree majoring in psychology, afterward he completed his DMD degree from the University of Nevada, Las Vegas School of Dental Medicine. He then went on to do his residency for Periodontics at the Medical College of Georgia. Dr. Jensen is a board certified periodontist and is also licensed to provide IV conscious sedation to make his patients as comfortable as possible. In his free time, Dr. Jensen plays the piano and is a self proclaimed music geek. Our Patients Trust and Love us! Dr. Peterson did an outstanding job on the removal of my wisdom tooth. This was no small venture as I am 63. No pain, no swelling, no problems. In the same visit he located a problem with another tooth that was bothering me. An excellent dentist/periodontist with very good bedside mannor. Also his dental hygenist is the best I have ever had. She is extremely thorough. The two of them are an excellent combination for anyone with perodontal disease. I highly reccomend them. Dr. Johnston and his staff were wonderful! After my first appointment they had gained my trust. I appreciate all that they did to help me. I would recommend Dr. Johnston with confidence! The team at Tempe Implant and Periodontics is quite simply the best I’ve ever dealt with. The front office staff are friendly, outgoing and warm. Dr. Holbrook is easy to talk with and extremely gentle, thorough and professional, and his chairside assistant could not be more helpful and sweet. I’ve had both bone and gum grafts done there, and have felt genuinely cared for and cared about during each visit...a rare experience these days. I’ve seen several other periodontists in my lifetime, but this crew is by far the best. I live 30 minutes away, and it’s well worth the drive. Highly recommended! I fell upon Scottsdale Implants and & Periodontics because of a referral from my day to day Dentist…I must say I sure am more than pleased with the referral – received nothing but top notice, excellent, and friendly service and professionalism. Dr. Ashraf was very informative about all the procedures I would under undergo – (plus how I would feel afterwards and what I might experience). He’s also super easy to talk to if you have continued questions/concerns – he wants to make sure you are comfortable/confident with what he is recommending. It’s not only Dr. Ashraf but the other staff members have been a joy as well – Shay & Jenny are always there to answer questions (about the procedures, costs, etc.) and welcome you with their amazing smiles. Highly recommend this office – great work & you can tell that they care! The office is professional, keeps in contact and reminds you of your office visits and follows up post op. Dr. Jensen and his assistant are so friendly and answers your questions with care. I had two implants completed two weeks ago and could not be more satisfied with the results. 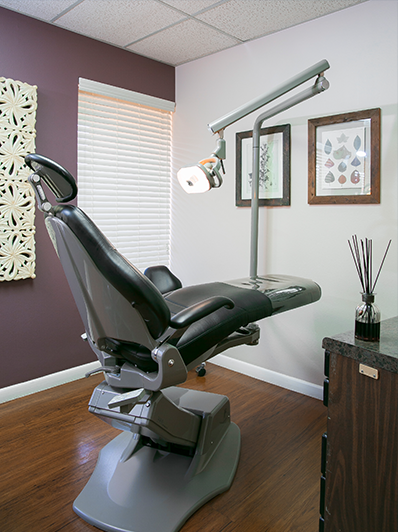 The office is accommodating, professional, and most of all, up to date with the latest technology and treatment. Fill out this form to request an appointment. For immediate assistance, feel free to contact one of our locations. Results are not guaranteed, may not be permanent, and can vary with per individual, Some images are of models, not actual patients. @2019 Implants & Periodontics.